It’s been quite some time – 14 years in fact – since we’ve heard a new solo album from legendary southern rocker Gregg Allman. But 2011 finds Allman back in a big, bluesy way with his Low Country Blues, out today on Rounder Records and certain to be one of the year’s biggest hits. Produced by the prolific T Bone Burnett, the recording features Allman’s take on 11 blues classics, along with one original track (a future classic in the Allman Brothers style, “Just Another Rider”) co-written with Allman Brothers colleague Warren Haynes. 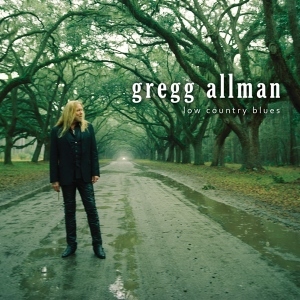 With a band that includes Doyle Bramhall II on guitar and Dr. John on piano, Allman does a terrific job applying his trademark southern soul sound to a range of songs from the likes of Muddy Waters, Sleepy John Estes, Bobby Bland, Otis Rush, and Junior Wells. Kicking off with a shuffling version of Sleepy John Estes’ haunting “Floating Bridge,” Allman next works into Junior Wells’ “Little by Little,” one of the songs – along with the jazzy and soulful “Tears Tears Tears,” Magic Sam’s “My Love is Your Love,” and Otis Rush’s “Checking on My Baby” – on which the Allman brother most shines. Probably the best cut, though, is his rendition of Bobby Blue Bland’s “Blind Man,” on which Allman’s vocals are in particularly fine form. Among the other tunes you’ll hear Allman tackle are Skip James’ “Devil Got My Woman,” Muddy Waters’ “I Can’t Be Satisfied,” B.B. King’s “Please Accept My Love,” and a hypnotic take on the traditional “Rolling Stone” to close the record. The label’s website quotes Allman on the album: “I’ve got my hand over my heart, and if it’s a hit there, it’s a hit.” We’re pretty sure that blues fans will be feeling this one with their hearts as well. This entry was posted in Albums and tagged Gregg Allman. Bookmark the permalink.